Bob Mayer published over 40 books with traditional publishers before he decided to go DIY and convert his backlist into e-books. It has reinvigorated his career, but it’s not for everyone. 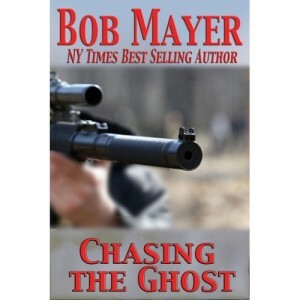 Bob Mayer has written more than 40 books, many of them under pseudonyms. In January of 2011, just six months ago, I sold a total of 347 of my books for the Kindle. Last month I was able to sell 2,100 e-books in a single day and sales are increasing. Two years ago I hit a milestone in my career as an author. After twenty years and over forty books, I’d written myself out of my last contract. It was a good news, bad news situation. The good news was for the first time in two decades I could really sit down and think about what I wanted to write. The bad news is, that in traditional publishing, an author without a contract is unemployed. It was more than deciding what I wanted to write. Because publishing was changing, I had to consider how I wanted to publish. Hard to believe, but in January of 2010, e-books were only 3% of the market. Most people were predicting it might hit 5% by the end of the year. However, I had a treasure chest of backlist to which I owned the rights — over 40 titles. Some of these titles had never been released in e-book format. Many had hit the print bestseller lists. I knew there was a market for them so with the help of Jen Talty I launched Who Dares Wins Publishing and we started loading my books, starting with my bestselling Atlantis series on various platforms, like Kindle. My primary focus, though, was still on NY and traditional publishing. I was working on a new thriller and a new historical fiction. My plan was to go to my agent and go through the traditional publishing process, just as I had for the past 20 years. Through 2010, I kept the same focus, but as the year came to a close, I was accepting that publishing as I had known it was going through drastic changes. I didn’t base my decision using what was happening now, I projected out what would be happening a year, two years, three years down the line. I knew getting a book deal in early 2011 would give me a pub date of perhaps fall 2012. Where would publishing be then? How would books be selling? What I predicted was an exponential (not linear) rise in e-book sales compared to print, far exceeding what 95% of the pundits were predicting. So after selling a few hundred books in January of this year, I made a decision: I would publish my new titles through my own imprint under the publishing company I created. I would commit one hundred percent to being an independent author. However, let me add this. I was able to do this because I’d been a traditionally published author and have an extensive backlist. I also had a lot of help through my business partner with the technical side of going independent. This gave me a solid base from which to launch. I call this being a “hybrid” author. It works one of two ways: an author with rights to their backlist goes indie; or an author under contract with a traditional publisher, who also owns some backlist, self-publishes that backlist while keeping their frontlist traditional. Even if they don’t own backlist, they self-publish something, usually a short, like James Rollins recently did. Either way, it’s a win-win situation. I accelerated the publication of my backlist and published my first original title, Chasing The Ghost at the infamous .99 cent price. Chasing soon hit the top 500 overall on Amazon and top five in Men’s Adventure. After two months, we upped the price to a more realistic $2.99 and it didn’t lose any traction. My Atlantis series was similar. The first book is priced at 99 cents. The next five are $2.99. 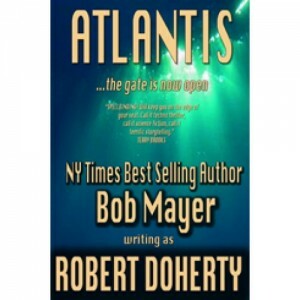 Atlantis became the #3 science fiction bestseller on UK Amazon behind Game of Thrones. And because I got such traction with Atlantis among those readers, when I published the first Area 51 book a last month, it started strong and continues to accelerate in sales. It’s doing particularly well on the Nook and was mentioned recently in a press release from B&N as one of the top bestsellers along with Amanda Hocking. I’m releasing a new Area 51 title at the pace of one a week and have five more to go. So where do I believe publishing stands? The author-reader relationship is key. Publishers focused so long on distribution to their consignment outlets, they never really focused on selling to readers. And because authors were mostly seen as replaceable parts, they were also not valued until they were a brand name. There would always be another writer willing to step in. That’s no longer true. The writers who are being successful now are those who understand promotion is an integral part of their success. Authors must connect directly with readers via social media. The published author with a strong backlist has the potential to connect to a whole new generation of readers and they don’t need a publisher to do so. The bottom line is that the distance between authors and readers is shorter than it’s ever been, both in terms of getting the book to the reader and for promoting. All the others involved, agents, publishers, bookstores, etc. must shift their focus from their traditional business template to one that puts authors and readers to the forefront. 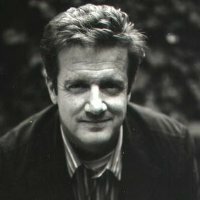 Bob Mayer is the author of more than 40 books. His latest, Write It Forward: From Writer to Successful Author, is out this week. You can read more on his blog Write It Forward. DISCUSS: Does Self Publishing Make It Too Easy?